Apple's AirPods are selling pretty damn well, according to market data from NPD Group, which claims they accounted for 85% of wireless headphone sales in the US since December. Despite their divisive appearance, Apple's wireless headphones are apparently resonating strongly, with that 85% figure marking out Apple's stake of 900,000 wireless earbuds sold. It also paves the way for expected updates to the AirPods in the future. "With a use case centering on frictionless access to Siri and other tasks initiated by voice, AirPods really act as an extension of the iPhone," wrote NPD Executive Director Ben Arnold. "Apple's path to leadership in the category is helped by disruptive pricing, brand resonance, and excitement over the W1 chip, which significantly eases Bluetooth connections to iOS and Mac devices." Of course, this year has been big for hearables in general, with the Doppler Here One, Bragi Dash Pro and now the latest Samsung Gear IconX all vying for our attention. What's more, all of these come with advanced features, fitness or otherwise, while we still don't consider Apple's AirPods to be quite in that "hearable" category yet, even though they provide access to Siri. We do however expect that to change before long. 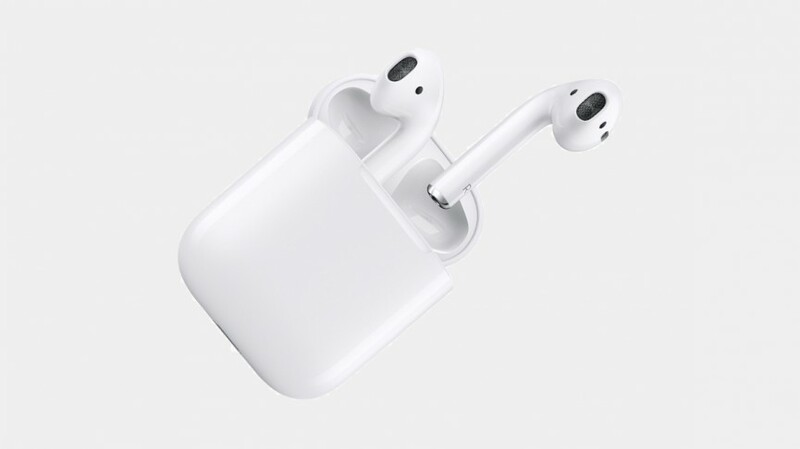 We've seen mounting evidence that Apple is plotting to upgrade the AirPods with biometric sensors that could let them track heart rate and perhaps even galvanic skin response (for measuring stress). While that would mean new hardware for users, NPD's figures will be an encouraging sign for Apple that it probably won't have a problem getting these into the ears of users in the future.